At S.O.S. Drain & Sewer Cleaning Services, it is very important to us that we provide you with a guarantee that you can be happy with. We are so confident in our work and the products that we use that we guarantee the best possible outcome for you. We use state-of-the-art equipment, some of the best personnel in the industry, and we put our heart into everything that we do. It is our goal to make sure you are satisfied and that you have the peace of mind that you received reliable and effective service that will save you money. Another aspect of our guarantee is our warranty. Our warranty gives you peace of mind. You know that if something turns out to not be right after we have serviced it, then we will be back to ensure that it is right at no additional cost to you. Historically, however, it is a rarity that you will have to use the warranty, as we are known throughout Minneapolis, St. Paul, and the entire Twin Cities metro for being thorough, professional, and ensuring that everything is completely in check before we leave the property. Here at S.O.S. Drain & Sewer Cleaning Services, we are all about service. 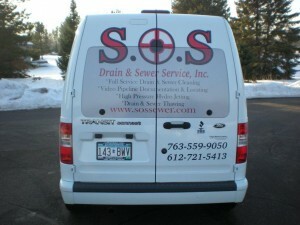 When you call S.O.S., you will receive service that is above the industry standard. It starts with a firm pricing, a firm appointment time, correct diagnostics, and the maintenance of a clean work environment. With us, you don’t receive any sales gimmicks, no misdiagnosing of issues, and we will not search for additional problems because we are not about lining our pockets. What we are all about is your satisfaction, which stems from customer service and accuracy of work. You will find that S.O.S. Drain & Sewer services has techs that work safely, keep the work environment clean, and they are courteous and knowledgeable. You will also find that the latest service techniques are used to ensure accuracy so you receive advice that is 100% neutral and honest. We are not about lining our pockets and that is something that our past clients will tell you. We are all about you and nothing less. If there is a problem, you are going to know it. If there is not a problem somewhere, you won’t hear us making up issues just so we can make more money from you. 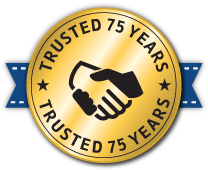 That is something our Minneapolis drain and sewer cleaning company can guarantee you 100%.